Do you have a helicopter ride on your bucket list? Could it or should it be added? Now is your chance to fly at a discount and give back to Northwest CASA all at once. 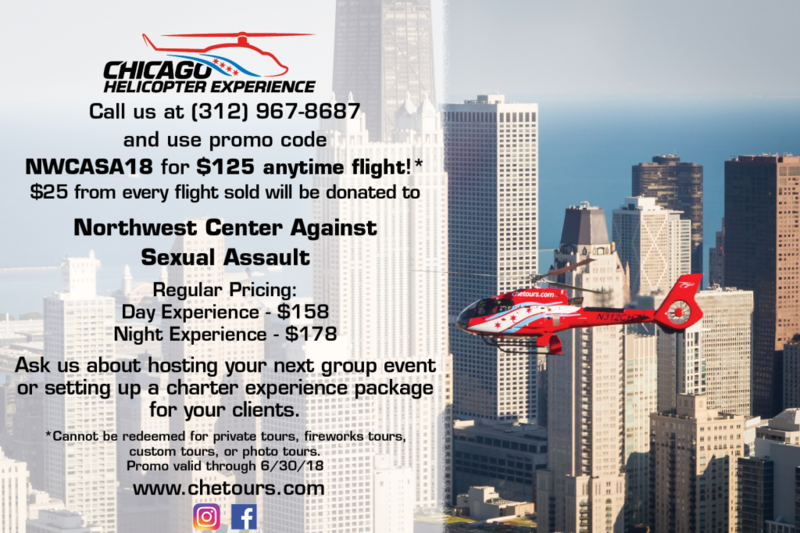 We are excited to announce that we have partnered with Chicago Helicopter Experience. From now until June 30, 2018 – use the promo code NWCASA18 and get an “anytime flight” for $125. On top of this amazing deal – $25 of every flight sold will be donated to Northwest CASA. I am now able to live a little without anxiety and depression taking me over. It makes me feel that the world is truly open for me to live peacefully.